This intense, war-based arcade shooter lets you step into the boots of the Tank Commander, commissioned to protect allied HQ from the relentless onslaught of tanks. Control the tank to blast the enemy and bring peace to your land. 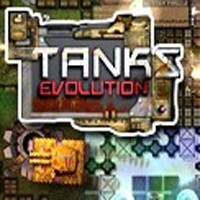 With non-stop tank combat and spectacular effects, Tank Evolution is a contest that you won't want to miss! query: INSERT INTO accesslog (title, path, url, hostname, uid, timestamp) values('Tanks Evolution', 'node/119', '', '3.80.224.52', 0, 1556144266) in /home/surelion/public_html/drupal-4.6/includes/database.mysql.inc on line 66.